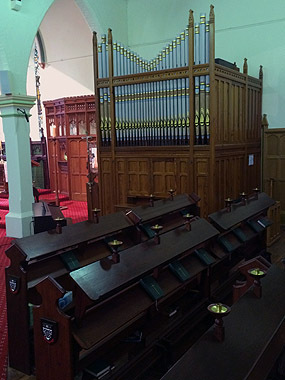 The Organ of St Michael’s, Mitcham is one of the oldest instruments in South Australia. It was built by Bishop & Son in 1878 and restored by George Stephens in 1994-5. It is used regularly for all Sunday services, weekday worship, weddings, funerals and for organ recitals.